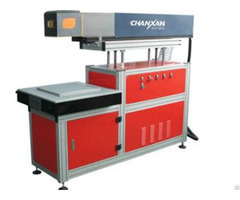 Ezletter CNC Plasma-EP Series is specially designed for the cutting of channel letter’s front and back board. It can cut many kinds of metal sheets such as galvanized steel, Low Carbon steel, Aluminum, Stainless steel and copper. High efficiency and lower cost! Wet Model: With the best plasma unit made in China and the water cooling system. Lower cost and perfect quality! For the thin material cutting specially. 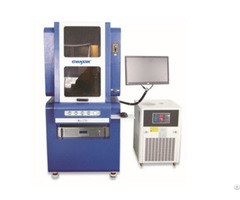 Ezletter CNC Plasma-MP Series is specially designed for industrial field. It can cut many kinds of metal plates such as galvanized steel, Low Carbon steel, Aluminum, Stainless steel and copper. High efficiency and lower cost! It also cut metal sheets with floating nozzles. 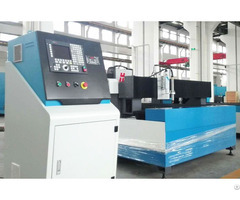 MP series: With best imported plasma unit;Torch height control system and Crash protect system; Dry type cutting. 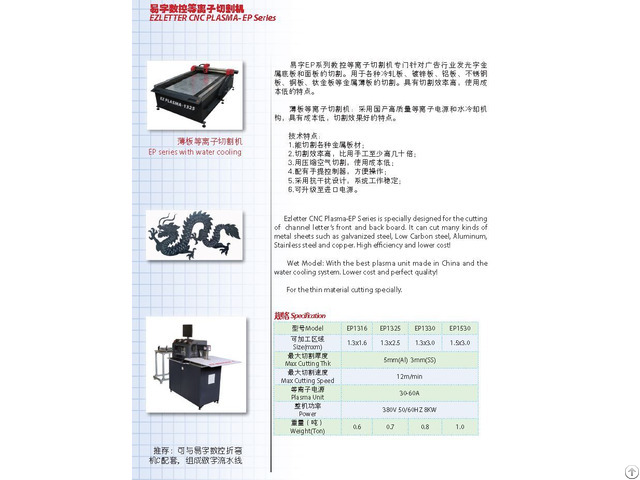 For the thick material cutting specially.